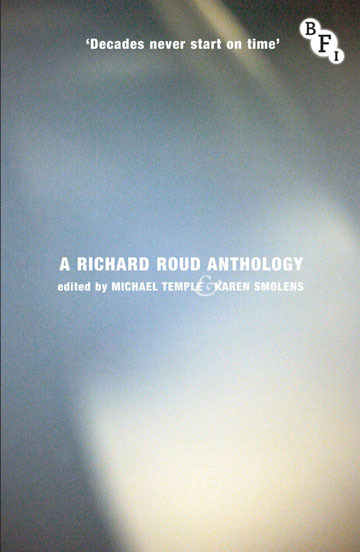 An anthology of selected writings by Richard Roud, the influential film critic and co-founder of the New York Film Festival. An anthology of selected writings by Richard Roud, the influential film critic and co-founder of the New York Film Festival. An anthology of selected writings by Richard Roud, the influential film critic and co-founder of the New York Film Festival. Charting his career from the 1950s to the 1980s, it includes rare archival and previously-unpublished material and highlights Roud's role in bringing European art cinema to the attention of American and British audiences. An anthology of selected writings by Richard Roud, the influential film critic and co-founder of the New York Film Festival. Charting his career from the 1950s to the 1980s, it includes rare archival and previously-unpublished material and highlights Roud's role in bringing European art cinema to the attention of American and British audiences.